Jay Z and Beyonce "bailed protesters out after Ferguson and Baltimore protests"
The couple also gave to the burgeoning “Black Lives Matter movement”. RAP MOGUL JAY Z has quietly used his wealth to post bail for people arrested in protests across the United States against police excesses, an author close to him claims. Dream Hampton, a writer and activist who worked with Jay Z on his 2010 memoir “Decoded,” made the revelations in a series of messages on Twitter that she later deleted but were reproduced by the hip-hop magazine Complex. “When we needed money for bail for Baltimore protesters, I… hit Jay up, as I had for Ferguson (and he) wired tens of thousands” of dollars within minutes, read one tweet. She also tweeted that Jay Z and his pop superstar wife Beyonce wrote a “huge check (sic)” to support the burgeoning “Black Lives Matter” movement aimed at improving police treatment of African Americans. Protests spread last year after a white police officer shot dead unarmed African-American teenager Michael Brown in the St. Louis suburb of Ferguson. Major demonstrations, some turning violent, erupted in recent weeks in Baltimore after another African-American man, Freddie Gray, died from a spinal injury sustained in police custody. Hampton later wrote that she deleted the tweets because Jay Z “would be pi-issed to see I was offering evidence” that he is taking action. The tweets appeared aimed at defending Jay Z and Beyonce, who have faced accusations from some activists that they have only paid lip service to causes without tapping into the couple’s estimated $1 billion net worth. One prominent critic has been Harry Belafonte, the calypso music giant who supported Martin Luther King’s family financially during the Civil Rights Movement. In a 2012 interview with The Hollywood Reporter, Belafonte said that contemporary celebrities “have turned their back on social responsibility” and singled out Jay Z and Beyonce. 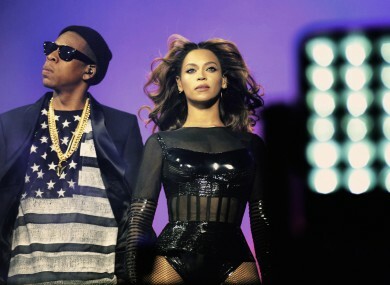 Email “Jay Z and Beyonce "bailed protesters out after Ferguson and Baltimore protests"”. Feedback on “Jay Z and Beyonce "bailed protesters out after Ferguson and Baltimore protests"”.